Your Home for the Holidays! 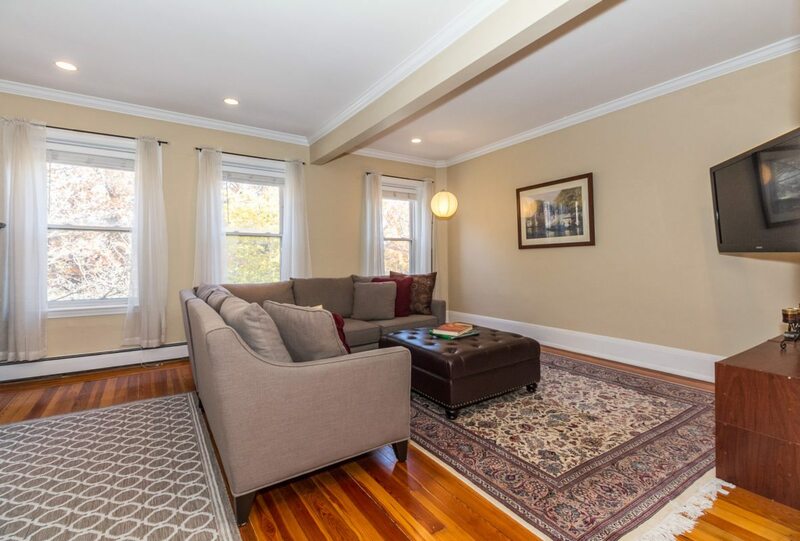 Unmatched in the Marketplace with its Amazing Location directly on Monument Square! Stately Building with Meticulous common areas, a lovely entrance foyer and period staircase! This Spectacular Home encompasses the entire Second floor! Truly a Perfect Floor plan for any Lifestyle! Warm & Wonderful with an Open & Airy Layout! Large Formal Livingroom overlooking the Monument for memorable Entertaining! Enormous Gourmet Chef’s Granite & Stainless Steel Kitchen offers an abundance of cabinetry & breakfast bar! Dinner party sized dining area! Gleaming Wood floors! Great Ceiling Height! Large Master Bedroom with French Doors! Designer Bath with Shower and a separate Soaking tub room with exposed brick! Very Generous Guest Bedroom! Laundry in unit. East & West Sunshine! Enjoy Living in one of the most Historic neighborhoods in the City! So many amenities! Investment Grade Home!